President Trump's budget proposal would cut funding for student aid and overhaul the student loan program. If approved, it would slash the number of Work Study jobs for college students in half. And 2.9 million fewer low-income students would receive subsidized loans. It would mean that future grads who pursue lower-paying, public service jobs will no longer be eligible for loan forgiveness after 10 years. Some of the reforms are likely to help undergraduates at the expense of graduate students. Those changes are expected to save $143 billion over the next 10 years, and more if the reduction in Work Study funding continues. In a statement, Education Secretary Betsy DeVos said the budget "ensures funding for programs with proven results for students while taking a hard look at programs that sound nice but simply haven't yielded the desired outcomes." Overall, President Trump's proposal decreases spending for the Department of Education by 13.5% next year. But the president's budget is never adopted by Congress in its entirety. It does show, however, where the White House's priorities lie. Subsidized loans don't accrue interest until after you finish school because the Department of Education pays while you're enrolled at least half-time. Not everyone can take out a subsidized loan. You qualify based on your family's income and size and they're available for undergraduate students only. As proposed, no subsidized loan would be given out after July 1, 2018, with an exception for students borrowing to complete their current course of study. More than 6.9 million borrowers received a subsidized loan this year, for a total of $22.6 billion. Next year, the Trump budget proposes shifting some money toward unsubsidized loans, which do accrue interest while you're in school. This would save the government $38.9 billion over 10 years, according to the White House. This loan forgiveness program was created in 2007 to encourage people to go into public service careers despite having huge student debts. After making on-time payments for 10 years, their remaining debt is forgiven. More than 400,000 people have signed up for the program, including many teachers, public defenders, social workers and doctors. October marks its 10th year, and the first time anyone will have made enough payments to get their debt wiped away. As proposed, the forgiveness program would not be available for those who borrow loans on or after July 1, 2018, with an exception for students borrowing to complete their current course of study. "These reforms will reduce inefficiencies in the student loan program and focus assistance on needy undergraduate student borrowers instead of high-income, high-balance graduate borrowers," the budget says. Revamping the income-driven repayment plan is another way the proposed budget aims to help undergraduate students rather than those with advanced degrees. These plans tie borrowers' monthly payments to a portion of their income and forgive their debt after a set period of time. But there are currently five different income-driven repayment plans offered. President Trump proposes creating a single plan for everyone. This has been applauded by consumer advocates. "This is a move that will lessen borrower confusion of the repayment options available to them, and a good step to protect student loan consumers from unnecessary hurdles to repayment success," said Julie Lammers, Managing Director of Consumer Advocacy and Government Relations at the American Student Assistance. The proposal would cap borrowers' payments at 12.5% of their discretionary income, which is higher than the 10% cap most have now. But, undergraduate students would see their remaining debt forgiven after 10 years rather than the current 15. Graduate students, on the other hand, will have to pay for 30 years before getting forgiveness -- which is five years longer than existing plans. Federal money for Work Study helps funds part-time jobs for students while they're in college. 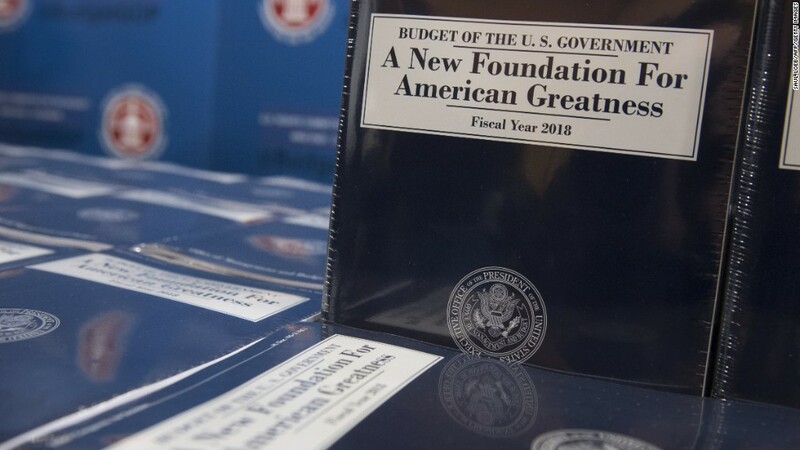 President Trump's budget proposes slashing funding nearly in half next year to $500 million, which would benefit 332,600 students -- or about half as many as the year before. The budget says the program is "poorly targeted" and needs to be reformed to "ensure funds go to undergraduate students who would benefit the most." Currently, both undergraduate and graduate students are eligible for Work Study jobs. It's unclear whether graduate students would be cut completely from the program under Trump's proposal. Pell Grants are awarded to undergraduate students from the lowest-income families. They receive a maximum of $5,920 a year, which does not have to be repaid. It's the biggest aid program for students, and cost the government $26.9 billion last year to award grants to more than 7 million students. The proposed budget supports expanding the program to create year-round Pell Grants, so that students can receive aid for a third, summer semester. But student borrower advocates criticized the proposal for raiding money from the program's reserve to do so, as well as failing to tie the maximum amount of the award to inflation for the first time in six years. "Without indexing Pell, it will account for a smaller portion of the cost of higher education every year," said John King, the President and CEO of Education Trust and the former Education Secretary under President Obama. Correction: A previous version of this story said graduate students would have to pay 20 years before receiving loan forgiveness in the proposed income-driven repayment plan. It is 30 years.